Cleaning up or replacing coal-fired power plants that lack sulfur pollution controls could help Texans breathe cleaner, healthier air, according to researchers at Rice University. A study led by environmental engineer Daniel Cohan analyzed models that measure the effects of emissions from 13 coal plants in Texas. 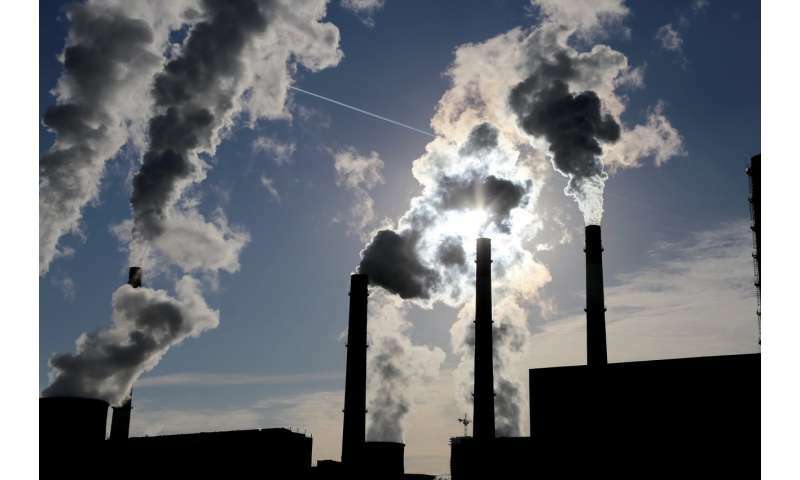 Along with their conclusions on the modeling systems themselves, they found residents downwind of coal plants would be far better off today had the state focused on cutting particle-forming sulfur dioxide emissions in addition to those that cause ozone. "Texas has more unscrubbed coal plants than anywhere in the country and it's causing a substantial amount of air pollution damage and impacts on our health," Cohan said. "What I found eye-opening in this study is that most of the health damage is coming from particulate matter, but most of Texas' focus on air pollution has been on ozone smog. It's a real dichotomy where the standard we violate is ground-level ozone, but the biggest cause of damage is particulate matter." The study appears in the Journal of the Air & Waste Management Association. Three of the state's coal plants have closed in 2018, but the effects of all 13 are represented in data collected from 2012 to 2017 and used by Cohan and co-authors Brian Strasert, a Rice alumnus now at GSI Environmental in Houston, and undergraduate student Su Chen Teh. The researchers wrote that as coal power gets more expensive and natural gas and renewables like wind and solar energy advance, companies seem more likely to close plants based solely on economic considerations. They also point out the state missed an opportunity to accelerate the benefits that would have come with enforcement of the Obama-era regional haze plan. That would have cut emissions of sulfur dioxide, a contributor to airborne particulate matter—invisible particles less than 2.5 microns in diameter—at eight of the highest-emitting plants. Instead, in 2017, the Environmental Protection Agency replaced the plan with a cap-and-trade program. "That doesn't mean the plants will get worse," Cohan said. "It just means the plants that should have been forced to clean up or close down have gotten a get-out-of-jail-free card." The researchers noted that according to EPA statistics, Texas power plants emit more than twice as much sulfur dioxide as second-ranked Missouri. The problem, Cohan said, is that even when particulate levels meet current standards, they are still health hazards, especially to those directly downwind of the plants. "We know the higher the particulate matter levels, the more people die, both on a short-term correlation – when particulate matter levels are high one day, death rates are higher over the next few days – and also over long-term studies," he said. "When epidemiologists study people across 10 or 20 years, they find that life expectancies are better in places that have very low levels of particulate matter than places that have high levels. "Particulate matter is the deadliest of all air pollutants, and it's not just causing deaths in the way that you might think," Cohan said. "It's not only by respiratory diseases, but it's also causing increases in rates of heart attacks and strokes. These particles are small enough to pass through the alveoli and enter the bloodstream. That lets them cause damage on all aspects of our bodily systems. "That was really striking to me," he said. "Because Texas meets the particulate matter standard, it hasn't prioritized cleaning up sulfur anywhere near the extent that it's cleaning up nitrogen pollution. We're allowing plants to emit levels of pollution that haven't been allowed since the 1970s. They're still operating today, because the state and EPA have failed since 2009 to finalize a regional haze plan." Cohan said the EPA continues to take comments on its plan for Texas. The paper also showed that recent, simple atmospheric models that help researchers quickly compute the health effects from pollution compare favorably with a more complicated state-of-the-art model. "That suggests we can take easier approaches to more quickly estimate the impacts of these plants," Cohan said. In time, he said, coal plants seem likely to close either because air pollution standards will be enforced across the board or because renewables like wind and solar make them unprofitable. "The key message of our paper," Cohan said, "is that delay has very real costs for us in Texas."